Charter a yacht in the Mediterranean, and visit Giglio, the unassuming gem of the Tuscan Islands of Italy. 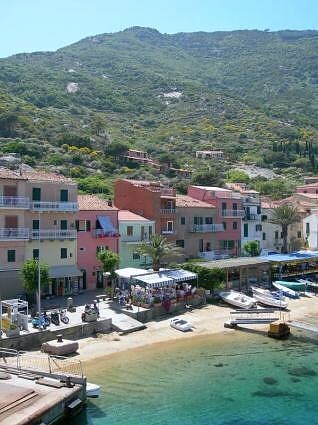 In the southern corner of the Tuscan Islands, and just 16 kilometers off of the Argentario Peninsula, lies the island of Giglio. With a main harbor and anchorage just outside of the main harbor, Giglio is a perfect stop on a yacht charter in this area of the Tyrrhenian Sea. And perched on the top of Giglio is a medieval walled village that rivals the walled village of Eze, but with far fewer tourists, as this walled village is virtually undiscovered by the rest of the world. 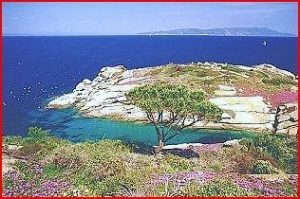 Giglio can only be reached by private yacht or ferry, so visit on q yacht charter as one of the few summer visitors to this lovely island. Giglio Castello is the medieval walled city on top of the tallest granite mountain on Giglio. With very few tourists to the island, there are few taxis and the easiest way to visit this medieval gem is to take the bus up the narrow winding road from Giglio Porto, the main harbor. The oldest town on the island, Giglio Castello is still humming with activity while the residents continue to go about their daily activities. The main gate dates to the 1300’s and opens to a town of buildings jumbled on top of one another separated by a maze of alleys and narrow streets. 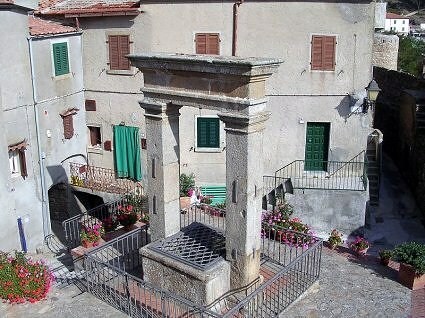 Explore this area by wandering, as getting lost is impossible, and stop for a bite to eat at one of the local eateries inside the walls for a taste of the strong local wine called Ansonco and hearty country Italian food. Giglio is also known for the crystal clear waters surrounding, and long sandy beaches around the perimeter of the island. Diving is also very good along the coast of Giglio with great visibility, underwater caves and ship wrecks from various centuries. And sometimes on a clear day, dolphins and whale calves can be seen frolicking in the surrounding waters. Charter a yacht in the Meditteranean and stop in Giglio for at least a night on your yacht charter of this area to enjoy this island packed with history and water adventures.